Two of the glasses are decorated with crowns and the symbol ‘JR’ intertwined with the figure eight referring to James VIII. The glass is engraved with two verses of the Jacobite anthem, and with ‘To the Prosperity of the Family of Lochiell’ engraved on the base. 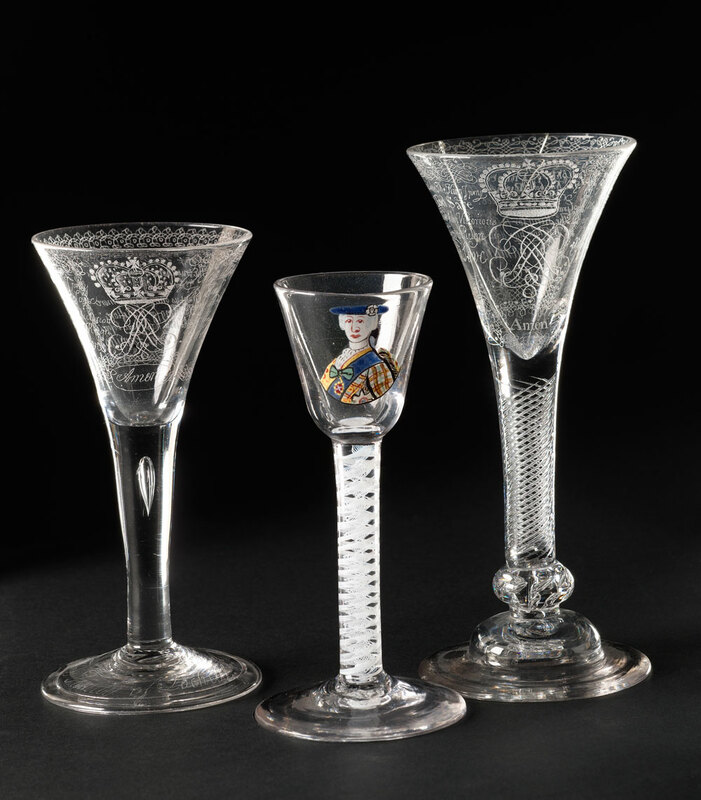 The smallest glass has a portrait of Charles Edward Stuart painted on it, c1750.